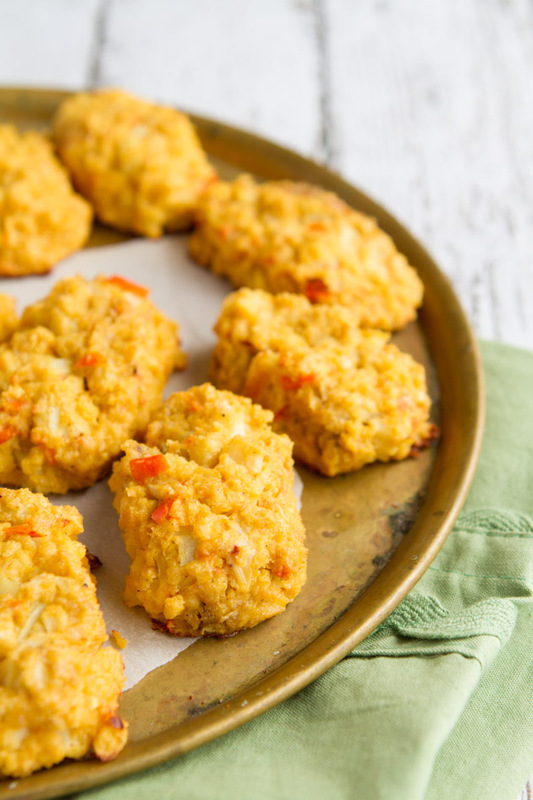 Crispy cauliflower tots packed with nacho cheese flavor without the dairy – a healthy alternative to deep-dried potato snacks. One of the most powerful steps I’ve taken to heal my relationship with food was giving myself permission to eat whenever I am hungry. 9am, 3pm or 1am. It doesn’t matter. I don’t follow “rules”, I don’t worry about eating before bed, or skipping breakfast if I’m not hungry. I don’t try to balance my fruits and veggies, or make sure there is a serving of healthy fats in each of my meals. I just let my body do the talking. The more I listen, the better I feel. I eat when I want to, I don’t have a lack mentality around my meals, I know that food will always be there, and I know that the food my body chooses will nourish me. If I feel like eating cashews for dinner on a Wednesday night, that’s what I’ll do. If I don’t feel like having breakfast until 1pm on a Monday, I’ll do that, too. If I feel like having a vegan lunch and a full-on paleo dinner on the same day, I do it. 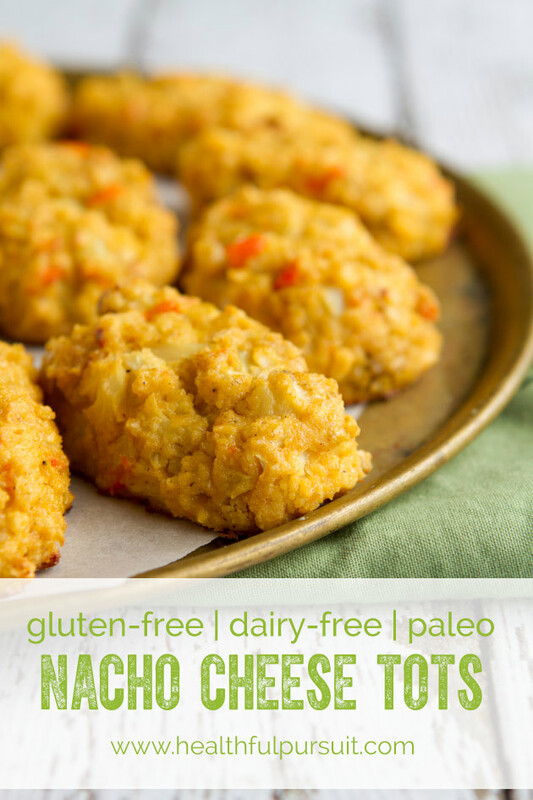 If I am craving nacho chips and tater tots all at the same time, I create this recipe… and share it with you! 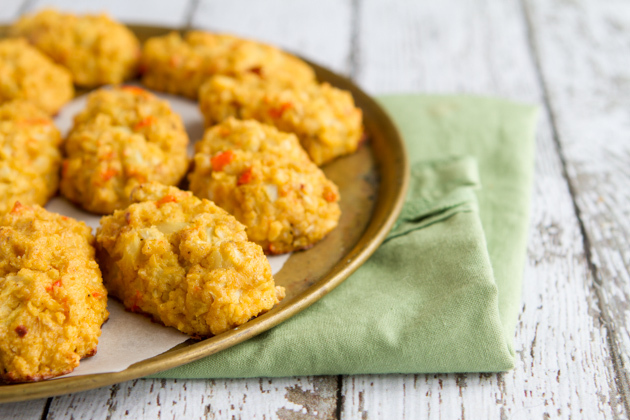 Crispy cauliflower tots packed with nacho cheese flavor without the dairy - a healthy alternative to deep-dried potato snacks. Preheat oven to 400F. And line a baking sheet with parchment paper or a silicon baking sheet. Set aside. Add cauliflower to a large bowl. Set aside. Add remaining ingredients, except nutritional yeast and almond flour, to the jug of your high-powered blender and blend until smooth. Pour over top of the cauliflower. 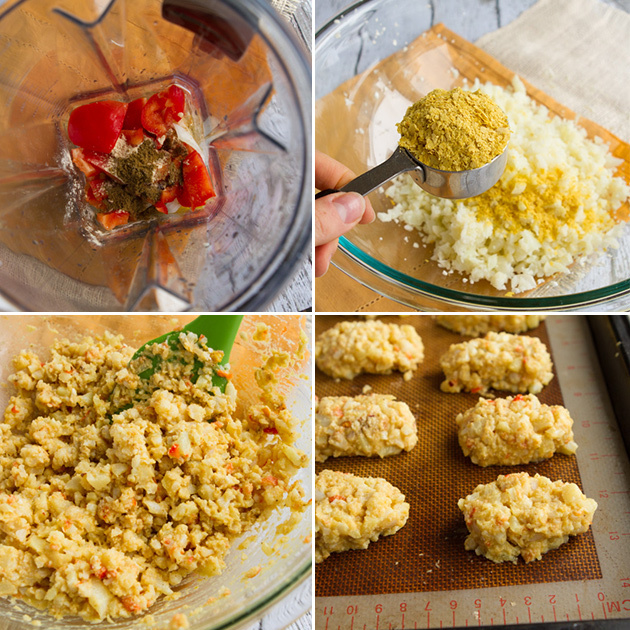 Add almond flour and nutritional yeast and stir until combined. Spoon 1 tablespoon or so of mixture in your hands and roll into a small oval shape. Place on the prepared baking sheet. Repeat with remaining mixture. Transfer baking sheet to preheated oven and bake for 20-22 minutes. 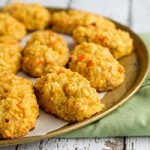 Eggs: I'm not sure if this recipe would work with an egg replacement. If you give it a try, let me know how it turns out! What is one major step that you’ve taken to encourage yourself to have a healthy relationship with food?